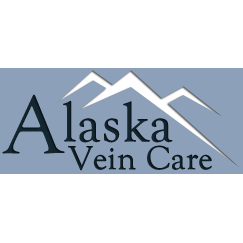 Alaska Vein Care provides superior vein care for our clients. Our goal is to help Alaskans stop living in pain and start feeling beautiful again. Our compassionate and professional staff are here to answer your questions, to inform you of your treatment options, to provide support as you go through your treatment, and to help you to improve your symptoms and get back in the game again! Our firm is state of the art. Dr. Johnson, owner and founder, is Board Certified in Phlebology and a member of the American College of Phlebology. Deanna Williams, clinic manager, is a Master’s Degree prepared nurse who has completed sclerotherapy training through the American College of Phlebology. Our clients get the best medical and cosmetic vein treatment from the experts. While our main treatment centers are in Alaska, we also use our talents for Humanitarian service. Dr. Johnson volunteers in 3rd world counties to help those people who are suffering from vein problems but can&apos;t afford or have access to a certified Phlebologist.